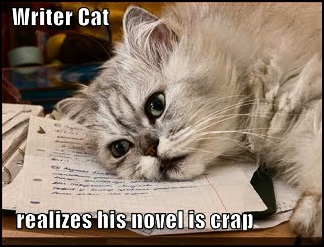 We can only hope that Writer Cat will now act on the truth. If not, he'll never become published. At a conservative estimate, upwards of 250,000 writers in the U.S. are currently struggling to write or find an agent for their first commercial novel or memoir. If you understand this business, you also know why most are unable to make it happen. Below are the top seven reasons why otherwise passionate writers will join the 99.9% never to become commercially published. The top seven below are based on interviews and talks with agents, as well as seventeen years of Algonkian experience. In the case of the former, the prose itself does not display the energy, creativity, clarity, and polish necessary to convince an agent to go deeper. This is perhaps the number one cause of failure. Typically, the writer is unaware, or at least, not sufficiently aware to enable productive change. Perhaps this is a first stab at fiction, she or he not realizing that journalism or other nonfiction writing ill prepares one for the challenges of competitive commercial narrative. Obviously, the writer does not know a good editor or reader, and therefore, has never received truly helpful crit. In the context of narrative composition, perhaps an ego obstacle is present, a father to the "birthed baby" phenomenon: the writer has produced a passage, a character, or scene they can't possibly discard. It is sacred. So it remains in place, defacing the narrative flow like a major pothole, jolting agents and publishers alike each time they meet it. In the case of the storytelling issue, the agent gives it a good read then backs off. Why? Well, maybe because the story goes nowhere. It flattens out and stays that way. Where is the inciting incident? The first major plot point? The story is eventually uninteresting or perhaps even confusing. Just recently a fine writer handed me sample of his ms. His prose skill kept me turning, but finally, I bogged down on characters who spun endlessly in place, who never really took action or engaged in any reaction worth noting. We are not talking about trend chasing... Virtually every time I speak with a student I discover that she or he has not sufficiently researched their market. In other words, they don't have a clue as to what types of first novels are currently being published in their chosen genre (assuming one is chosen). Why is this important? Because the first novels provide the writer with a concept of what the market is looking for. Also, it helps steer the writer away from starting a project that will be DOA on arrival due to being way too deja-vu or trope heavy. Far too many writers make the Dan Brown mistake, i.e., they attempt to emulate a huge author, falsely believing it will get them published. They don't understand that author gods like Danny could get away with terrible literary crimes and still become published. Instead, the writer must examine first novels published in their chosen genre over the past two years: investigate story types, settings, protagonists, etc. The research always yields productive results because first novels are the weather vane for where the market is going, and on more than one level. We once had a millionaire venture capitalist hand us his 15 page synopsis and the first few pages of the novel. The synopsis was absurdly long and unable to summarize the story in any coherent way; and the first couple of novel pages needed a good line editing because the prose was inadequate and one tended to speedbump over at least one awkward sentence per paragraph. Of course, these facts were unknown to the venture capitalist. He presented us the work with a grand TA DAH!, expecting a corroboration. Well, of course, irritation set in when we tactfully pointed out shortcomings. He also did not believe us when we explained that the vast majority of agents would not, repeat NOT read that 15 page synopsis regardless (and if they did, the novel was DOA). Later, he went on to self publish and sell a total of 136 copies at last count. Whether the source is an article, a friend, or a writer's conference, the writer has been told something that steered them wrong, or built a false expectation, or made them believe a man-bites-dog story will happen to them. For example, a writer with a manuscript in need of a good final editing told me, "Not to worry. The publishing house editor or the agent will complete the edit for me." I explained that would not happen--not for a first timer with zero track record. Another piece of incredibly bad advice often heard from egotistical writers or agents: "Writers are born, not made." This is simply not true. Clever, determined writers who shelve the ego and seek knowledge and learn their craft will succeed. Tenacity wins. See our Top Ten Worst Pieces of Bad Writing Advice for more information on this issue. The most common form of morale loss occurs at such time the writer finally realizes their writing is not nearly as good as they believe. The writer returns to a favorite slice of writing, seeking to admire, build confidence, only to discover their favorite slice has gone stale and offensive. So what happened? Writers who fail to understand that such realizations are necessary watersheds (and they happen to all writers!) and indicators of growth, become disillusioned. They quit. 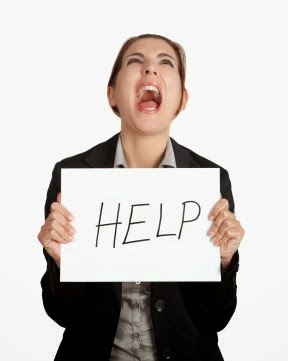 The second biggest cause of morale loss results from no success in acquiring an agent. It's been dragging on for years. The novel ms has been shopped around. No one is buying and feedback is confusing. Or perhaps the novel ms is resting like a one ton anchor on the desk (waiting for neck) eight years later and still not ready despite several restarts and who knows how many total drafts and writer conferences. If any of the above is the case, welcome to the club. Buy yourself a drink and get back to work.